Mario Bros has a new mission to fulfill and will need your help to do it perfectly. The evil Bowser this time has not kidnapped Princess Peach, but has captured Mario' s brother, Luigi. 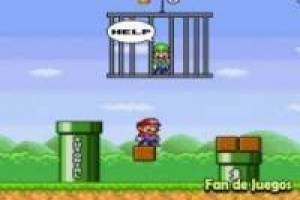 You will have to face Bowser' s minions in these levels and try to reach him to save Luigi. 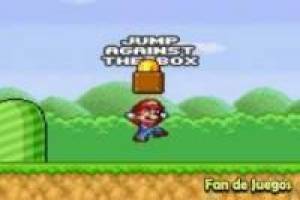 You must use the direction arrow arrows to move and jump. Remember that jumping on the enemies will eliminate them and you can continue advancing. Collect the coins and unlock the obstacles to get the star that will make you beat the level. Meet all the requirements to pass phase and complete them all to get to Luigi in Super Mario: Save Luigi. 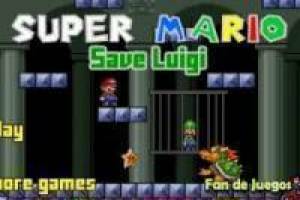 Enjoy the game Super Mario: Save luigi, it's free, it's one of our Mario bros games we've selected.